These days when everything is technology oriented. We are surrounded by machines either mechanical or hand held. However, these things also need fixing. I was tired of so many small things that I couldn’t use because they all had some loose ends, but my mechanic would not show up to fix some loose screws. 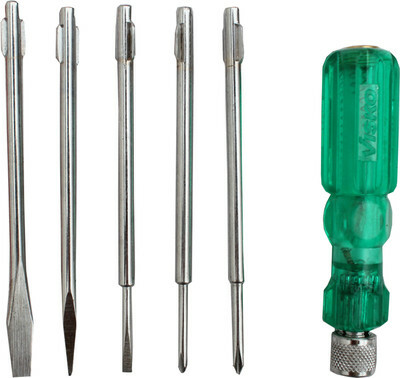 With the all-new VISCO combination screwdriver, I could be the mechanic of my house. It is very easy to use and it comes with five different blades, which can fix all kinds of screws in the house. I had ordered this product from Flipkart and have been using it since 4 months now. One of the best investments I made. To my relief, a tester came along with the set. I could easily test if the power plug was working or not without bothering my electrician. I loved opening old stuff that I had stored in my house, now I can do it with ease and in the meanwhile also learn about the parts of the machine or even use the still working parts of those machines. It is very easy to carry around as it comes in a compact box and its weight is about 200g. It comes at a small price of Rs 159 after a discount of 57% on Rs 370.